This entry was posted in History and tagged Archaeology, Babylonia, Cuneiform, History, Images, Mathematics, Museums, Plimpton 322 by Tony. Bookmark the permalink. Please could you enlighten me. Are current disputes about the content of the tablet or its purpose? In other words is it generally accepted that it can function as a trig table but disputed whether it was designed as such. Theon of Smyrna’s ‘side and diameter’ numbers are simply the alternate values of this sequence. As to content, everyone is agreed that the tablet has the numbers and relationships I describe. The debate is indeed about purpose, as you suggest. The idea that it is a trig table (of an unusual kind) doesn’t really fit well with what we know of Babylonian mathematics. I would recommend reading the article by Robson (which I’ve linked to in the post). Tthank you very much. I tried to Robson article and it’s quite dense, so wanted to clarify the issue in dispute and you have confirmed what I thought. Incidentally, as a middle-aged mathematical novice, I find Wildenberger has some interesting ways of relating key concepts regardless of whether his and Mansfield’s views on the function of Plimpton 322 are correct. I think his views/speculations of the history of maths deserve consideration. One of the key points Robson makes is that one shouldn’t simply try to understand Plimpton 322 on its own, but in the context of how Babylonians did mathematics. Mansfield and Wildberger suggest the tablet teaches (an unusual style of) trigonometry, but there is no evidence of such trigonometry among the thousands of other tablets that the Babylonians left us. On the other hand, we do know that the Babylonians were interested in Pythagorean triangles and reciprocal pairs, and the tablet fits very well with that. Robson suggests (and I agree) that the tablet was produced by a mathematics teacher as a list of class problems, and there are indeed other tablets like that in the historical record. Yes, but that begs the question as to why the values in column A decrease steadily. What relevance does that have to classroom exercises in triples and reciprocals only. Anyway if it is a classroom text howcdo we know it was not copied from some trig tables with more information than needed for classroom purposes. That would bevlike someone todaybphotocopying a page of Euclid for a class and skipping sayva lemma or corollary. …or better still using only lemmas and corollaries. Presumably, the values in column A decrease steadily because the triples were generated in sequence (probably using additional information on the broken-off left part of the tablet). And, like I said, there is no evidence at all that the Babylonians did trigonometry or had trig tables. If trig was part of their mathematics, you’d expect evidence on some of the thousands of other tablets. Interesting what you say about Euclid, though. This is Euclid copied with bits missing. Thank you, it’s extremely interesting. You could be right, but like I said, I think Robson has the right interpretation. Jones is a satisfactory place to leave it. I’m glad to have found someone who supports Robson I could discuss it with. Robson herself doesn’t want to comment. Robson’s paper is from 15 years ago, and she’s apparently been working on other stuff since. But anything she said would probably just repeat what her paper says: she critiques the trigonometric interpretation (which Mansfield and Wildberger did not invent) in that paper. Robson says that the table is generated by taking values of x (in descending order of x) from standard Babylonian reciprocal tables (specifically the values 2:24, 2:22:13:20, 2:20:37:30, 2:18:53:20, 2:15, 2:13:20, 2:09:36, 2:08, 2:05, 2:01:30, 2, 1:55:12, 1:52:30, 1:51:06:40, and 1:48) and then using the relationship (x − 1/x)2 + 22 = (x + 1/x)2 to generate Pythagorean triples. (I have added that to the post). Thank you for explaining things to me which I could get out of Robson’s paper. Robson would also need to account for the fairly even spacing of the values. Maybe someone somewhere will provide a simple layperson’s guide to the controversy, one which generates light rather than heat, identifying common ground and areas of disagreement and differences in methodology. Unfortunately we are not likely to see that on wikipedia soon, and Robson made a couple of What I thought were rude and ad hominem tweets which appeared in the New York Times and which she seems to have deleted and then declines any comment. I can’t see how this can be definitively settled. If Robson’s is the best explanation so far there is always the possibility that something will emerge to support the trig explanation. And because I have prior reason to find Mansfield and Wildenberger’s approach plausible I am more open to their reading than many historians of maths, but I am probably going to stay agnostic. The various papers on this may make for some good and instructive autumn bedside reading. I looked at Robson’s longer article and whilst I could appreciate the ordering of angles couldn’t find anything to explain the fairly even spacing of angles. I also took a look at Mansfield and Wildenberger and they do claim to be saying something new. It’s not new to claim it is a trig table, but they say it is a particular type of trigonometry. And so you have to enquire whether it is. What I am sure about is that is a simple whole number arithmetic which has been rather lost, as evinced by the square root method I sent you, so I find that approach plausible. But you may need to study it a bit to appreciate it. What I do hear is a chorus of attacks on M and W by people who give the impression of not knowing anything about rational trig. But maybe these will diminish when people read and critique the article. And all a lay person can really think is that it got past the referees of Historia Mathematica. And we are supposed to believe experts because they are experts, and if experts disagree amongst themselves we get confused. 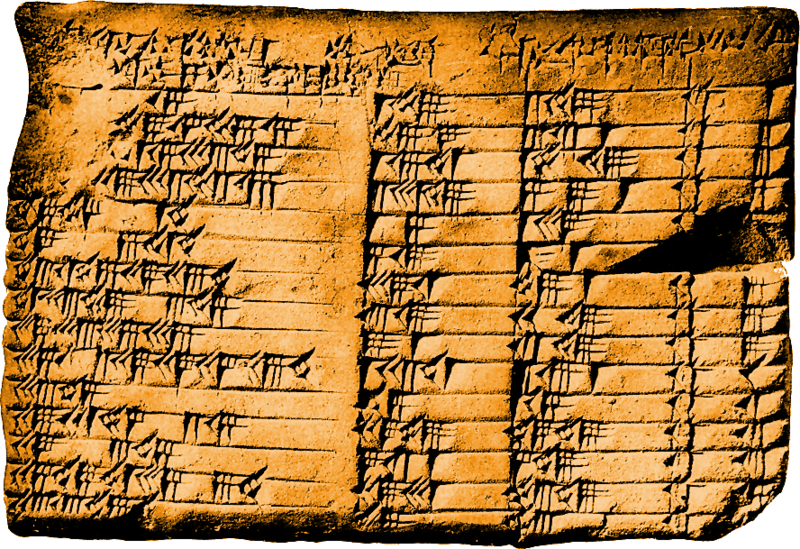 The spacing of the numbers comes from the spacing in standard Babylonian tables of reciprocals. As Robson correctly points out, the tablet has to be understood in the context of the rest of Babylonian mathematics. On p.199 of her Historia Mathematica article Robson describes the scribe’s choice as ‘shockingly ad hoc’. Regarding square roots, you say “…even simplistic starting guesses for the square roots of the numbers in column A give convergence in 2 or 3 steps every time”. For us, this is certainly true. We can make an initial guess, apply the square root algorithm, and then use the result as an improved guess for another application of the square root algorithm. But for a Babylonian there is an extra condition: the initial guess must be regular (i.e. a number with no prime factors other than 2, 3 or 5). The output of the square root algorithm will not, in general, be regular. So you cannot expect a Babylonian to be able to reuse the (irregular) result of the square root algorithm as the (regular) initial guess for a subsequent application of the square root algorithm. They are numerically restricted to a single application only, as is apparent in texts such as IM 54 472. I might also mention that Robson’s interpretation does not involve diagonals, which are quite prominently mentioned in the headings of the table. You are suggesting that Babylonians couldn’t actually calculate square roots. That seems wrong. 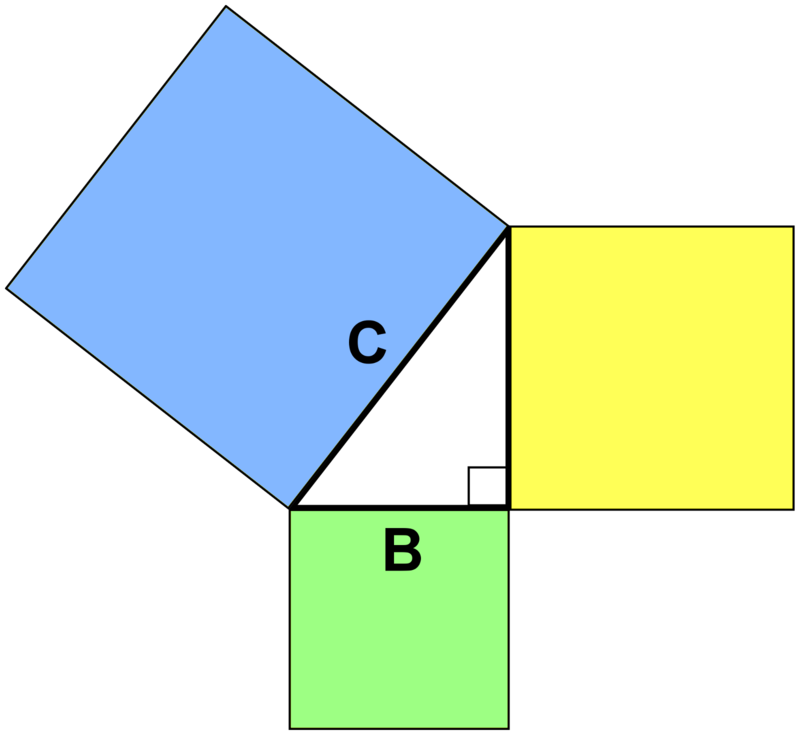 However, even if true, that doesn’t affect Robson’s interpretation (which does involve diagonals). Yes, I would say that the Babylonians couldn’t calculate a square root in every case. For example the number in row 4 column 1 can be simplified to 28.36.06.06.49 = (5.20.53)^2, but calculating sq.rt. (28.36.06.06.49) = 5.20.53 is problematic using only Babylonian techniques. If this is an table of exercises for “completing the square” style problems such as YBC 6967 then you do need to take a square root at some point. In this problem, and every single known similar example, the square root is always easy to calculate using only simplification rules and standard table of square roots – both of which are well attested to at the time. So in addition to the theoretical limits of the square root procedure, taking square roots of integers such as (5.20.53)^2 is outside their pedagogical tradition by two orders of magnitude. Personally, I would regard the interpretation of Britton, Proust and Shnider (2011) as an improved version of Robson’s interpretation based on new evidence that was not available to Robson in 2001/2002. There is also the “factor reduced core” interpretation from Friberg (2007), which at least identifies the square root issue. and you do need to calculate a square root using according to Robson’s hypothesis, where this is a teachers aide for problems of the type found in YBC 6967. Here you start by knowing only the difference between a regular number x and its reciprocal 1/x. Your task is to find x and 1/x. First you calculate the half difference (x-1/x)/2. From this you calculate the square of the half sum as [(x-1/x)/2]^2 + 1 = [(x+1/x)/2]^2. Then take the square root to find the half sum (x+1/x). ‘its igibi’ 1/x = (x+1/x)/2 – (1-1/x)2. You can interpret the numbers (x + 1/x)/2 as a diagonal, and I agree that you should. This is certainly consistent with later evidence such as MS 3971#3. But here you still need to compute a square root. I agree that the square root is not used in the generation procedure. I was taking about the purpose of the tablet. The discussion about square roots goes to the heart of the “class problems envisaged by Robson”. These problems (YBC 6769, but a better example would be MS 3971) involve a square root. Well, on Robson’s analysis (which is still,, I think, definitive) it isn’t 100% obvious what problems the students would be set from this list. But the use of well-known reciprocal pairs argues for an attempt to smooth the students’ way. I think that if the squared quantity is an intermediate step in some student problem, then a square root would have to be taken at some point. Regardless of what the student’s problem might be.